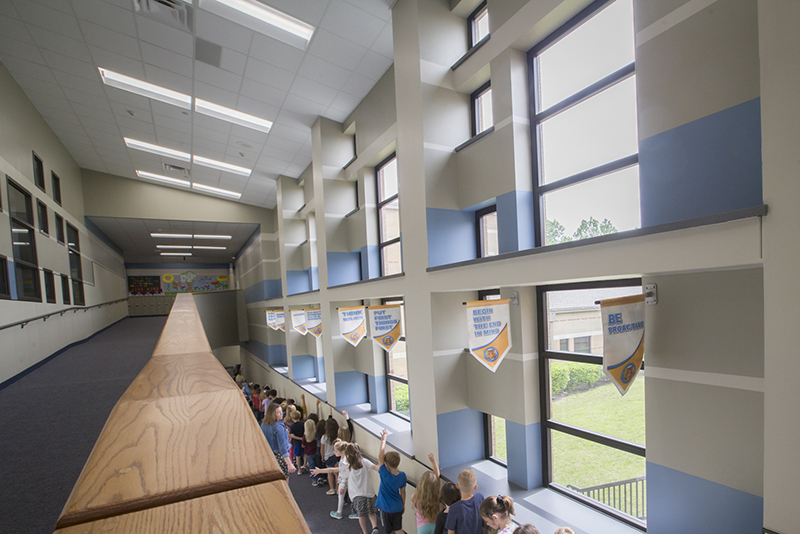 Valley Creek is one of six McKinney ISD campuses that received a refresh funded by the 2016 MISD School Bond. 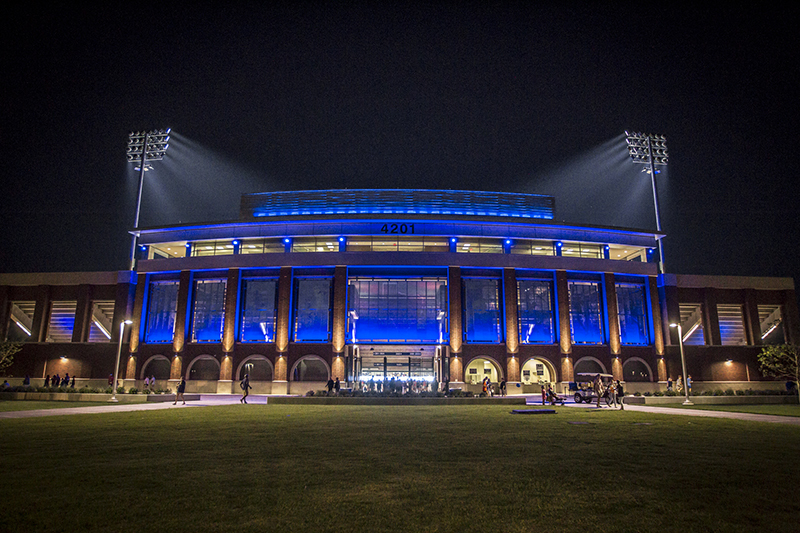 On May 7, 2016, McKinney voters approved a $220 million McKinney ISD school bond package—accompanied by a tax decrease—that included a wide array of items ranging from campus refresh projects to additional school security features to the new McKinney ISD Stadium and Community Event Center. 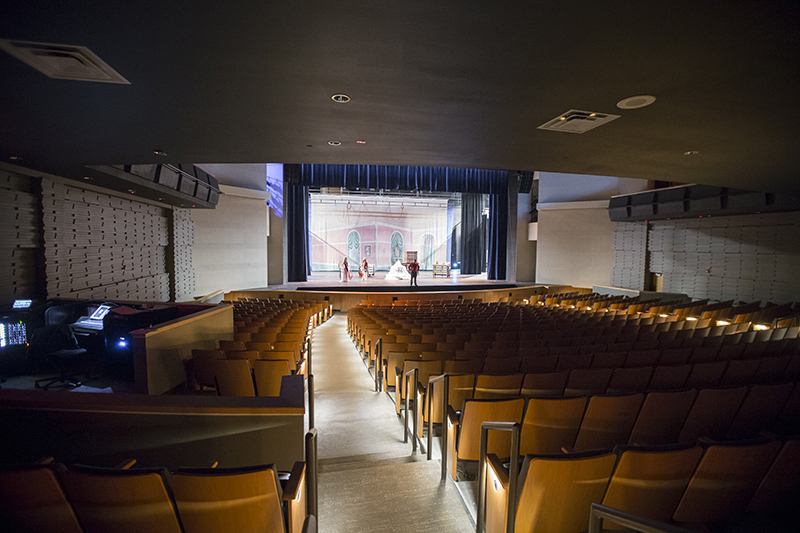 And, while the stadium—and the more recently unveiled McKinney High School Performing Arts Center—have received the lion’s share of public attention where the bond is concerned, a number of other important, albeit less visible, bond projects have also been completed since work began in the summer of 2016. 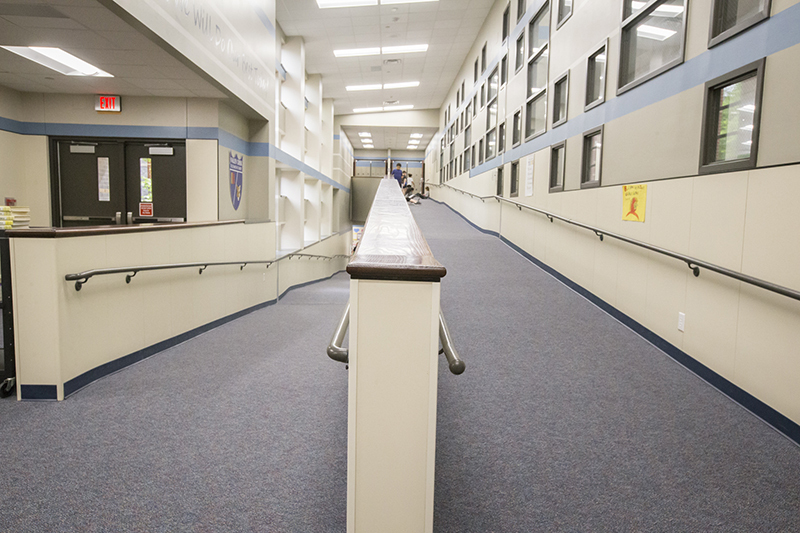 Now, with the final campus refresh projects at Wolford Elementary and Reuben Johnson Elementary slated for this summer and construction already underway on the fine arts expansions at Cockrill Middle School, Evans Middle School and McKinney Boyd High School, work on the 2016 bond is nearing its conclusion, and that offers a perfect opportunity to provide an overview of the work that has been delivered by the district—work that McKinney ISD Chief Financial Officer Jason Bird says has gone above and beyond. To those, the district added Eddins Elementary, Walker Elementary and the aforementioned Wolford and Reuben Johnson. The district was able to add these projects with funds saved by using its own project managers and by moving the timeline forward on the projects. 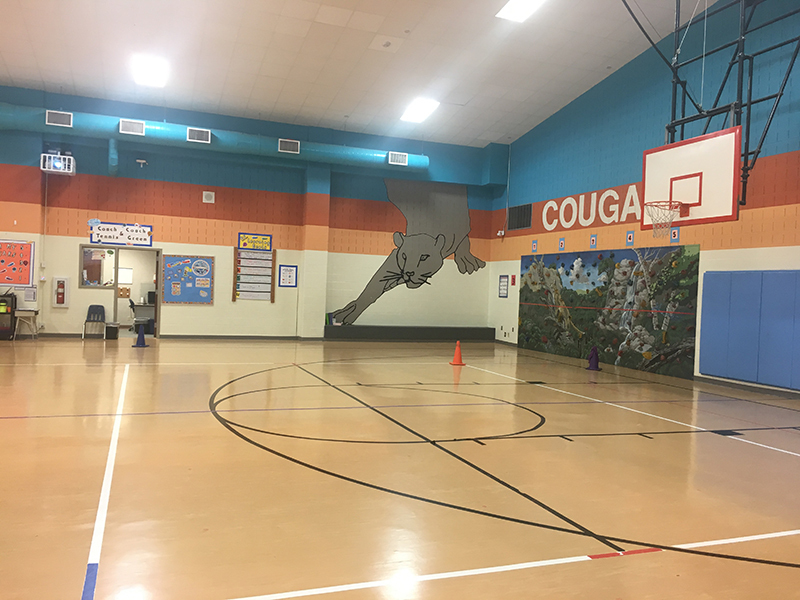 Valley Creek Elementary, Glen Oaks Elementary, Walker Elementary and Eddins Elementary all received campus wide improvements that included new tile flooring, new carpet, fresh paint, technology upgrades and new furniture as well as attention to HVAC, plumbing, electrical and roof replacement needs. Gone are the bracingly bright and busy, primary color schemes in favor of more subdued, up to date design choices. 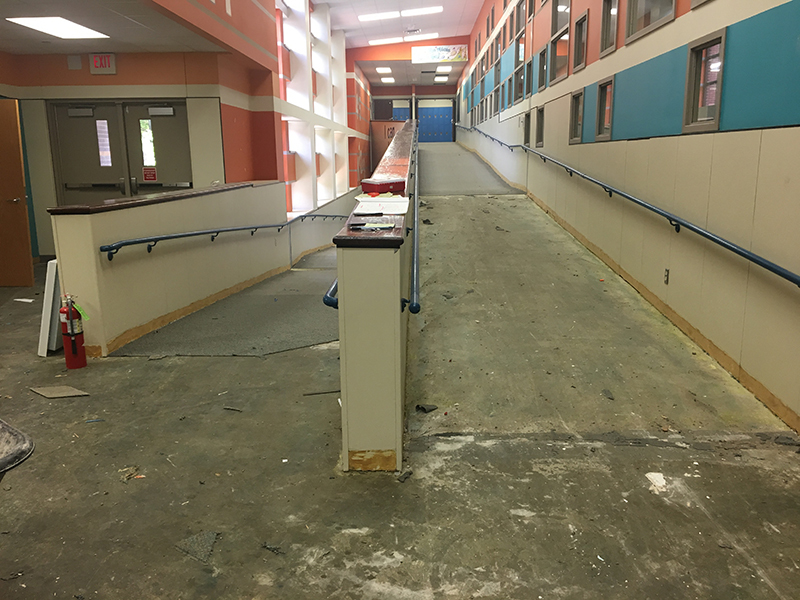 The “before” color scheme of one of Valley Creek’s academic corridors can be seen in this construction photo. 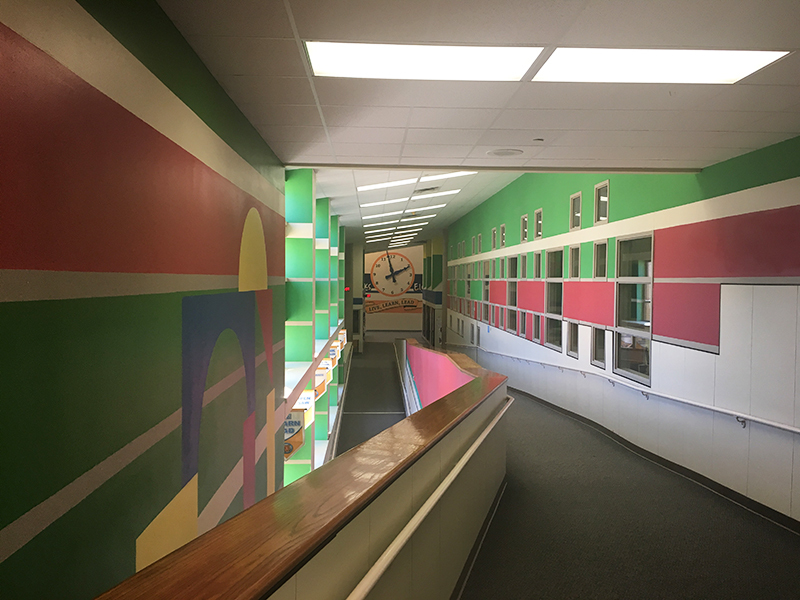 The new look of the Valley Creek academic corridor is bright with calmer colors compared to its previous iteration. The “before” look of the Valley Creek gym. The new look of the Valley Creek gym. 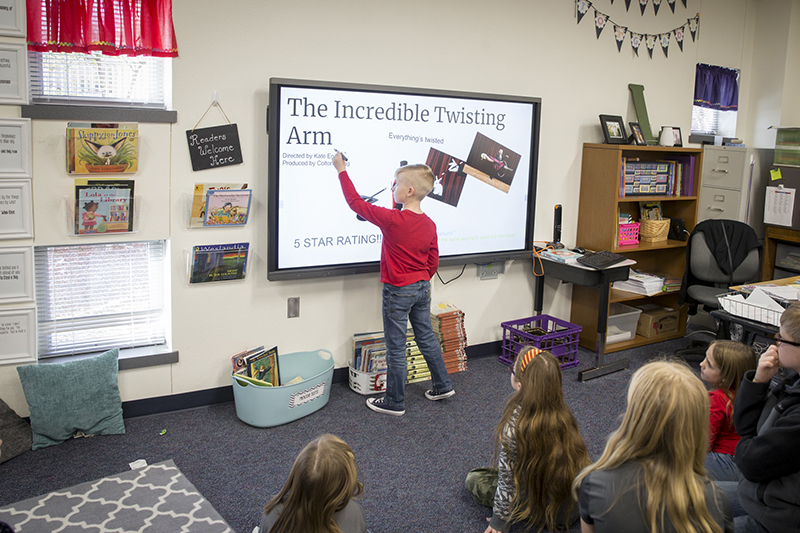 Instructional technology upgrades at Eddins and other elementary schools that received refreshes through the 2016 bond far surpass the limited effectiveness of some previous instructional tools. 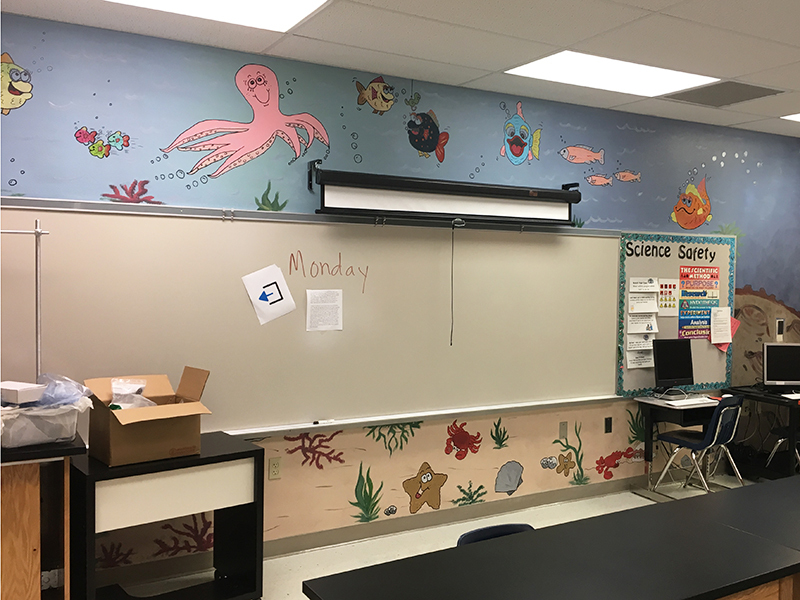 An important feature of the elementary campus refresh projects included upgrades for instructional technology that better allow students to interact with the material and collaborate as they learn. Every campus in McKinney ISD that did not already have a digital marquee received one through the 2016 bond. 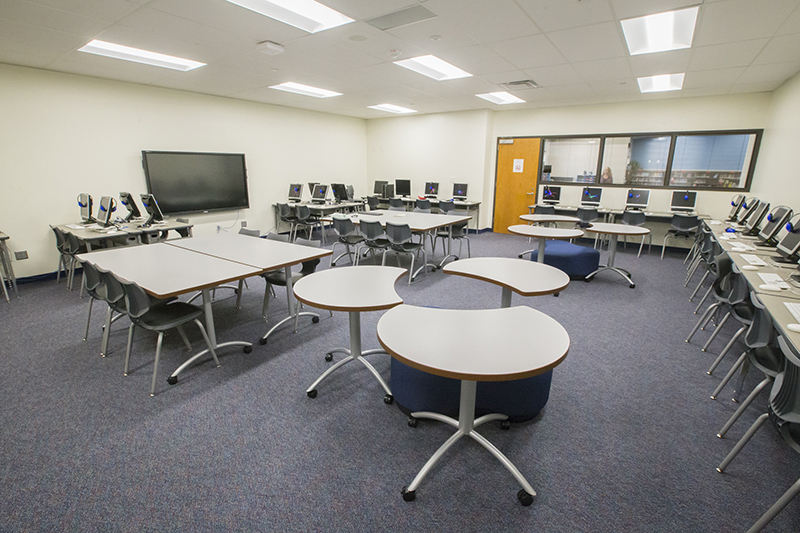 The new instructional flex space at Glen Oaks provides additional access to computers and sits adjacent to the school’s learning commons. 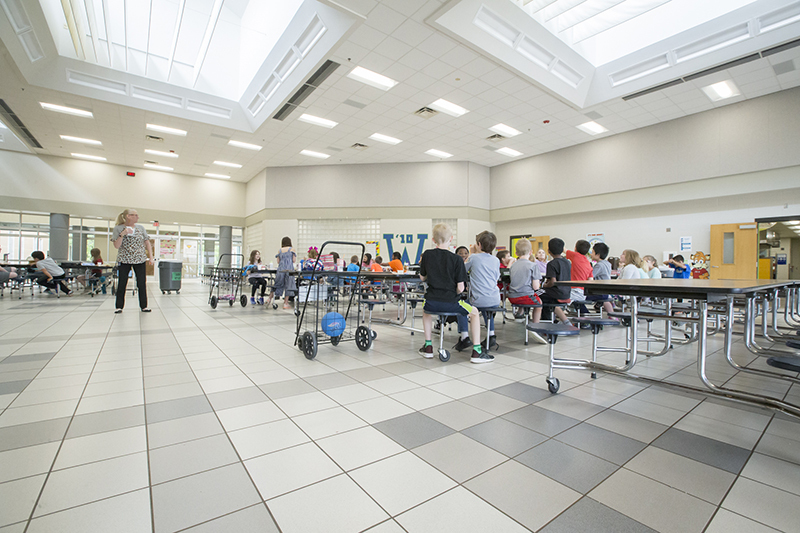 The bright and airy, newly refreshed cafeteria at Walker Elementary. 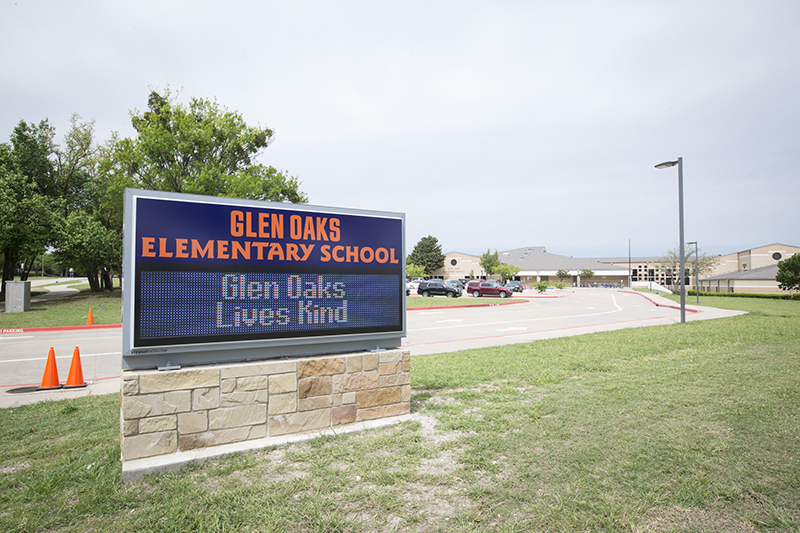 …and the new look of Glen Oaks. 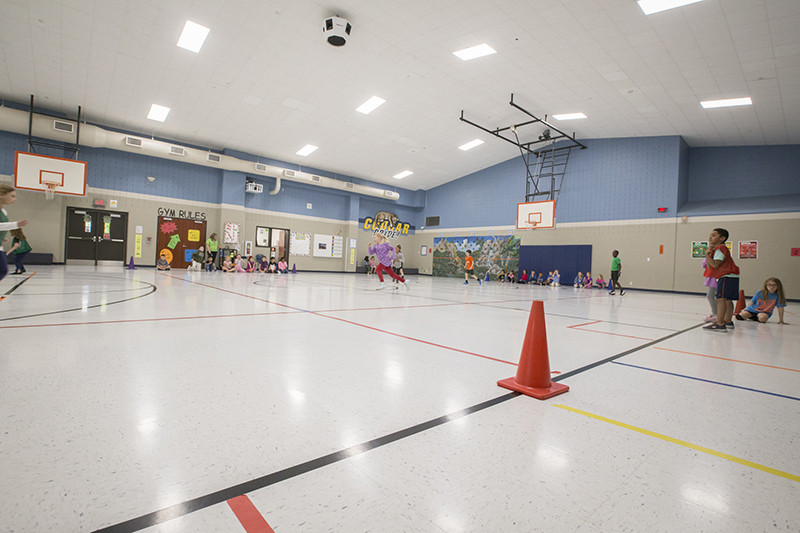 Eighteen campuses across the district received roof replacements totaling nearly 2 million square feet as well as updates to HVAC, plumbing and electrical systems. The 2016 bond also called for safety and security enhancements that would provide additional security cameras at the high schools and the installation of security cameras at the district’s elementary and middle schools. Lock-down buttons have been installed at all campuses, and the facilities department is in the process of finalizing the transition to new fire alarm systems across the district. The bond also supplied the funds needed for MISD and its transportation provider, Durham School Services, to add two additional security cameras to each MISD school bus as well as a driver camera and a system that tracks and records all driver activity behind the wheel. Bus parking expansion and a bus fueling station are currently in the design and permit phase of implementation. 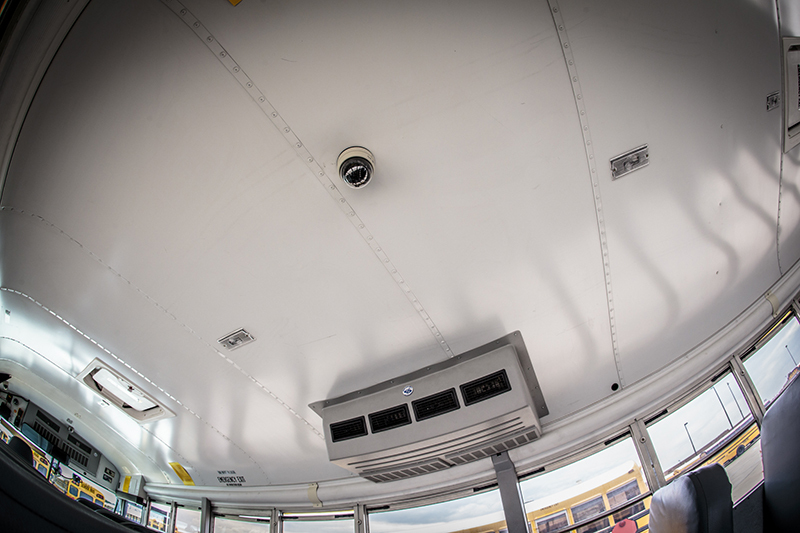 A new security camera was added at the front of each MISD bus. Now, one camera provides coverage toward the rear of the bus and the passengers, while the other records activity that happens at the door of the bus. 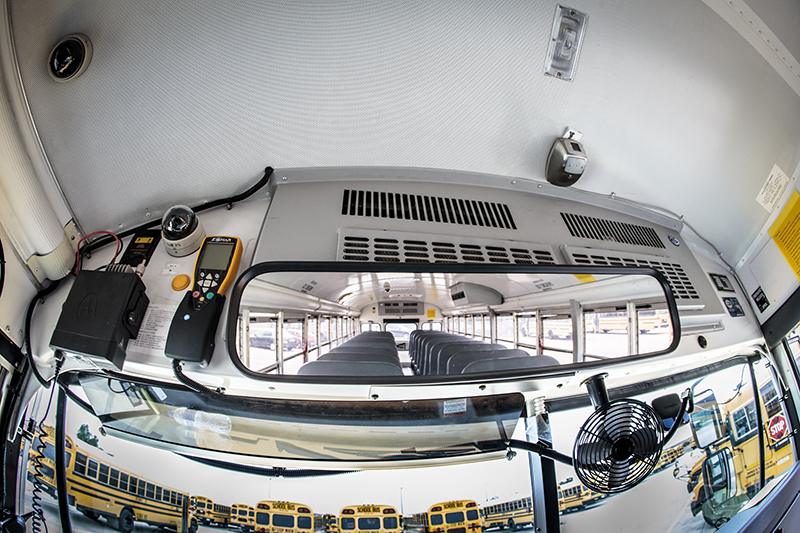 A third camera in the center of the bus gives an overhead view of the entire passenger compartment. Lock-down buttons have been installed at every MISD campus. 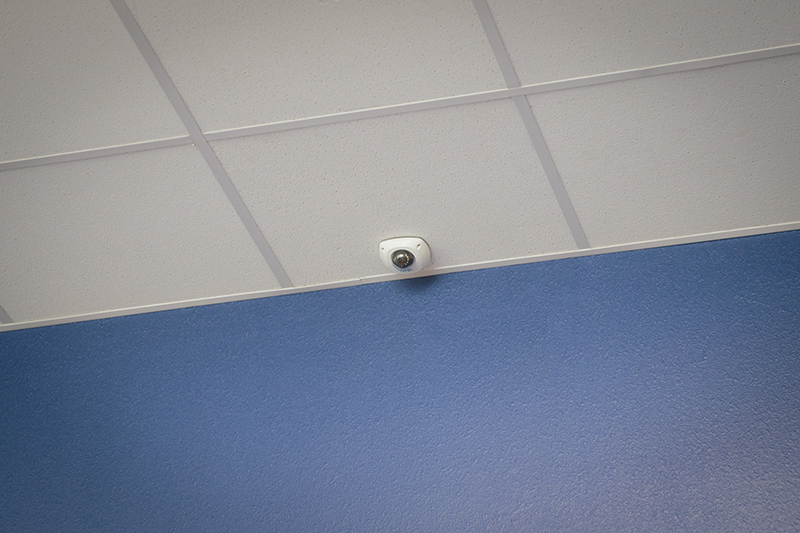 Security cameras were added to every campus in the district, bringing the total number of cameras from 300 to 1500. 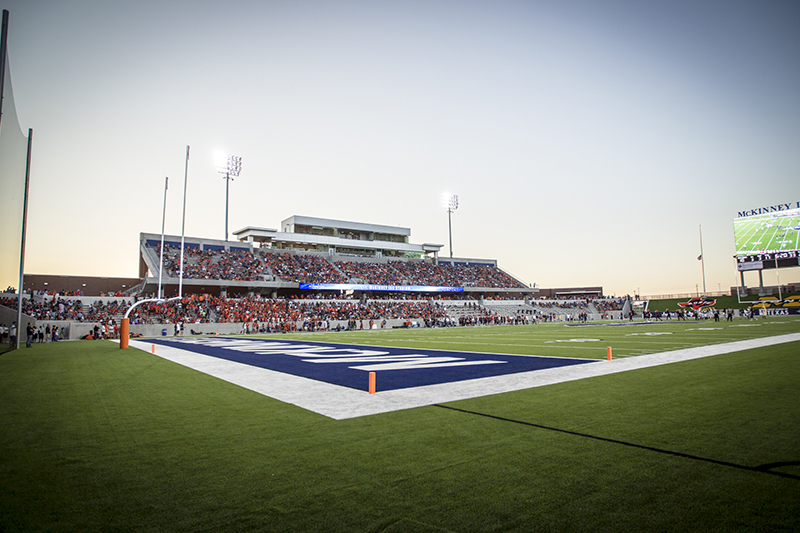 The most visible of the bond projects was of course the beautiful new MISD Stadium and Community Event Center, which has already been used to host playoff games for football and soccer and was the host site for the 2018 NCAA Division II Football National Championship. The district learned in March that the NCAA has chosen the stadium to host the championship game for the next three years. Additionally, the event center has already hosted numerous events including the 2019 Athletics Hall of Honor induction ceremony and the 2019 Teacher of the Year Dinner. 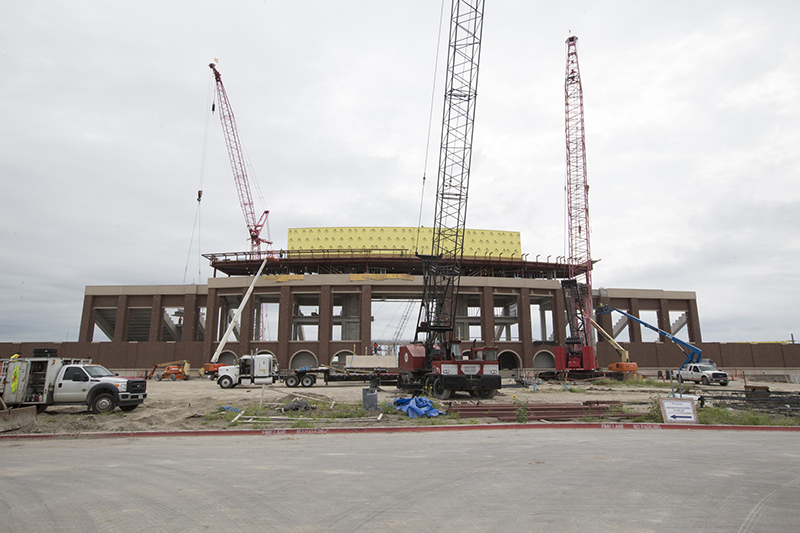 As construction progressed, the new stadium began to take shape. The new McKinney ISD Stadium in full swing on opening night of the 2018 football season. Opening night at the new McKinney ISD Stadium where the McKinney North Bulldogs faced the McKinney High School Lions to usher in a new era in MISD athletic competition. The bond also provided for tennis court resurfacing and upgrades to the baseball and softball fields at Boyd and North. The softball field at MHS will also received upgrades. New turf was installed at the Boyd football field and the MHS and North indoor athletic multipurpose facilities, and the tracks at MHS and North have both been resurfaced. 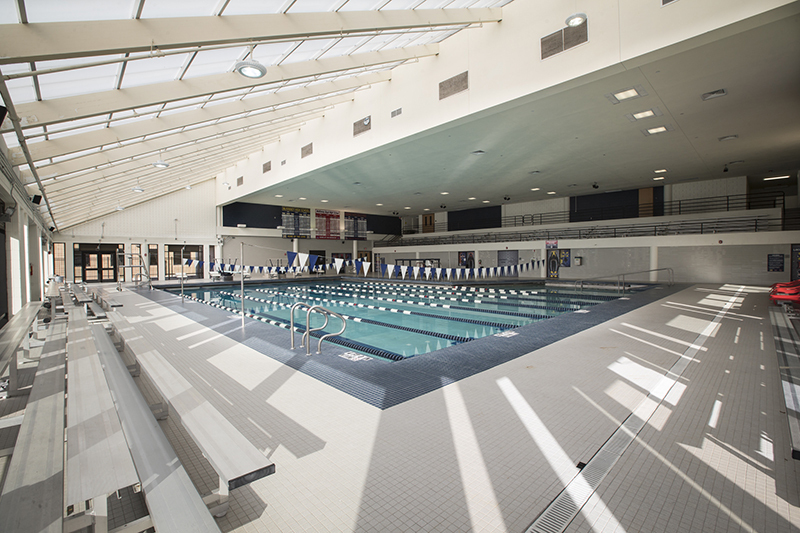 The Sam Serio Natatorium at MHS, which serves the swim and dive teams of all three high schools, received new tile, updated locker rooms and a new pool floor. 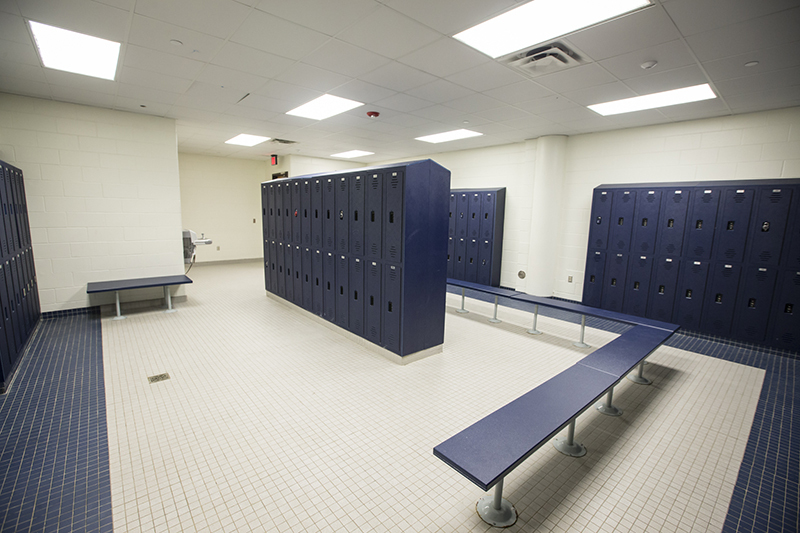 The locker rooms at the Sam Serio Natatorium received a refresh with new tile, paint, lockers and benches. 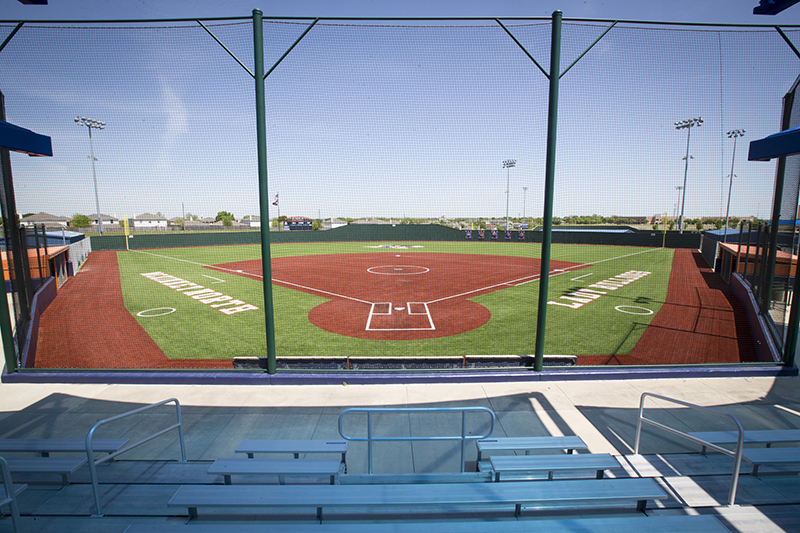 The softball field at McKinney North was one of several MISD athletic facilities that received new turf. 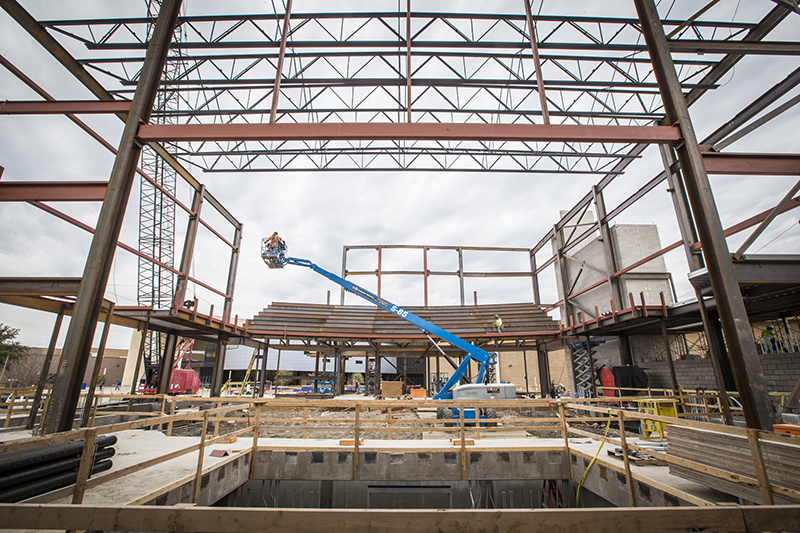 Fine arts expansions are well underway at Cockrill Middle School, Evans Middle School and McKinney Boyd that will provide much needed performance and rehearsal space for those schools’ band, choir, orchestra and theatre programs. 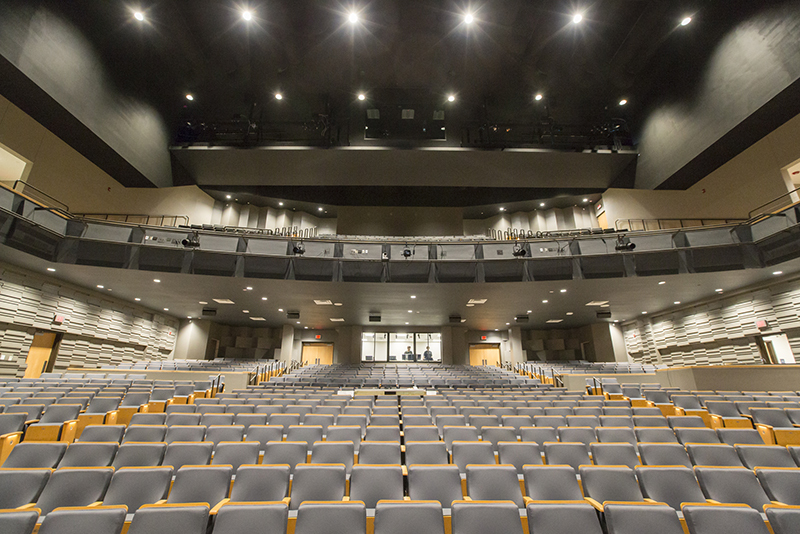 The new MHS Performing Arts Center and Sperry Performance Hall opened earlier this spring as the MHS Theatre Department hosted its inaugural run of performances, bringing Andrew Lloyd Webber’s “The Phantom of the Opera” to life and garnering rave reviews for the performances and the new venue. …as seen here fully complete. 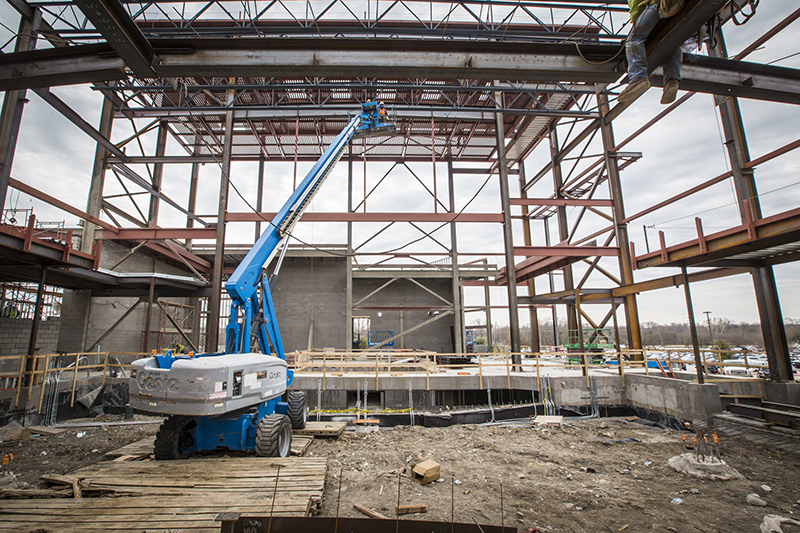 A construction view from what would become the rear of the new Sperry Performance Hall. 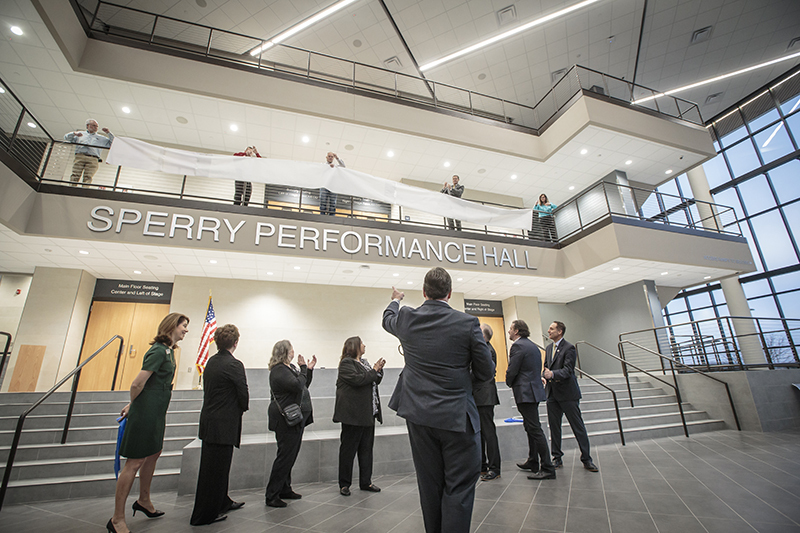 The Sperry Performance Hall on opening night. 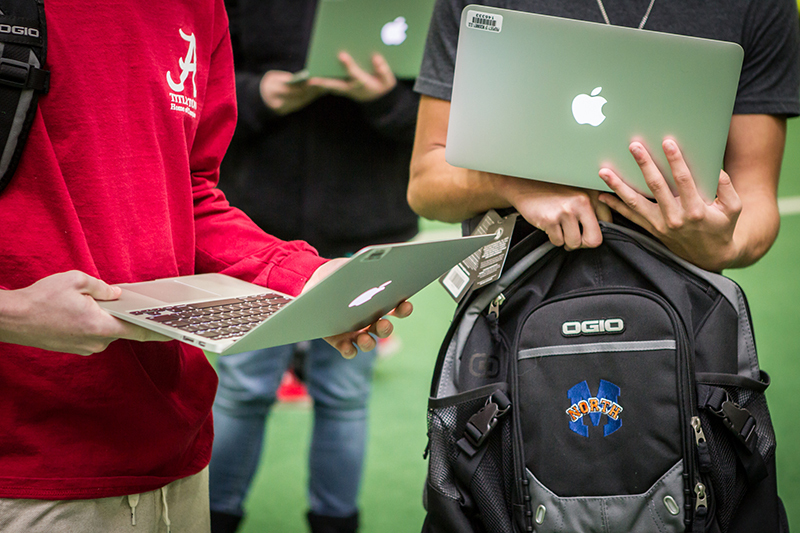 In 2014, MISD began its 1:World instructional technology initiative that put a laptop in the hands of every MISD high school student beginning with that year’s freshman class. Now fully implemented, the 2016 bond provided funds to continue issuing the students of each successive freshman class a laptop to use throughout their four years of high school. It also provided for updates to the district’s technology infrastructure and technology needs across the district. Beginning in 2014, MISD has issued a MacBook laptop to every MISD freshman that they will use throughout their four years of high school.